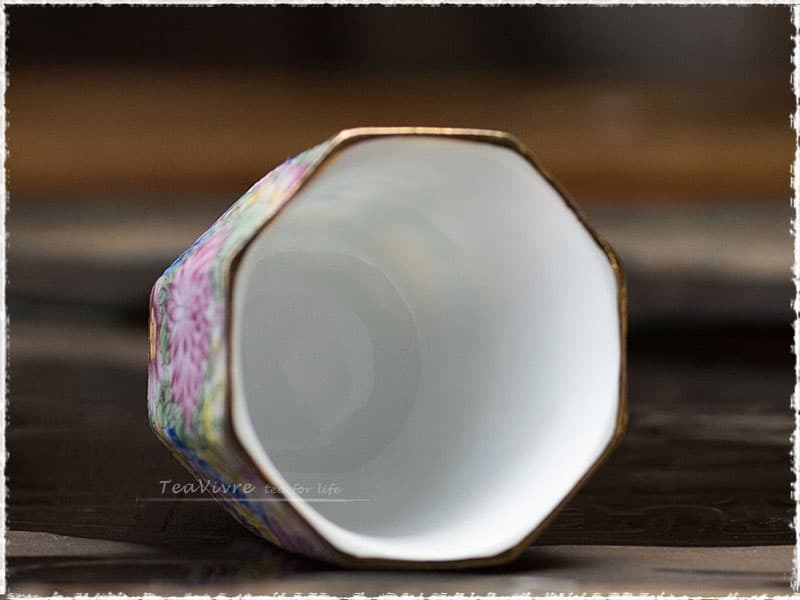 This cup was produced in Jingdezhen, the pattern of flowers and the decoration of gold rim give it a sense of retro and modern. This tea cup shapes in two different forms, bamboo hat and octagon, both with a same tea tray, where the center is convex to in line with the cup. 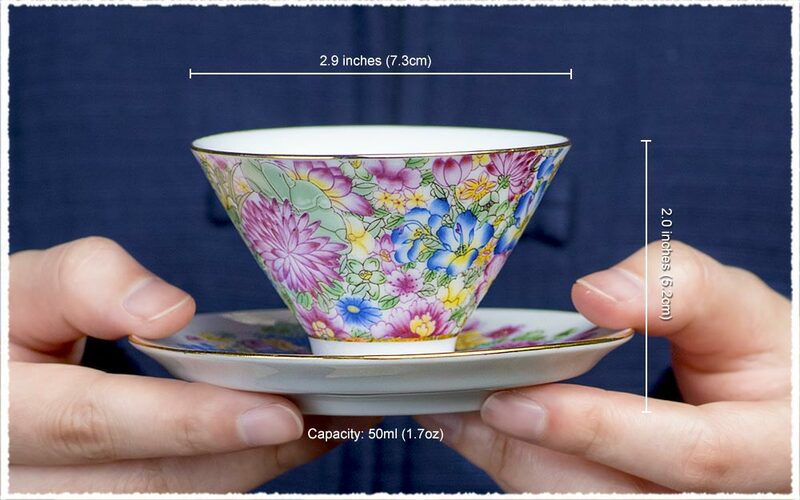 The bright white inner wall, the various flowers decorated on the cup, as well as the gold rim on the top all together make this tea cup remarkable. When used, it is more splendid to match a Gaiwan with same version. 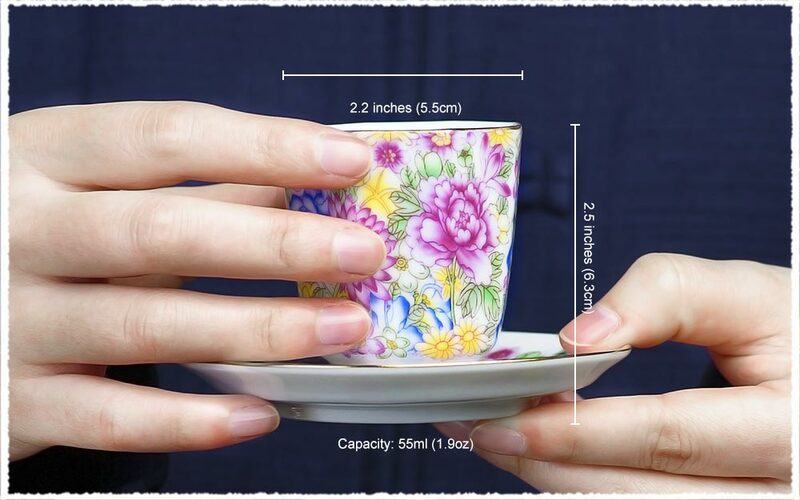 The cup is delicate with smooth inner wall.